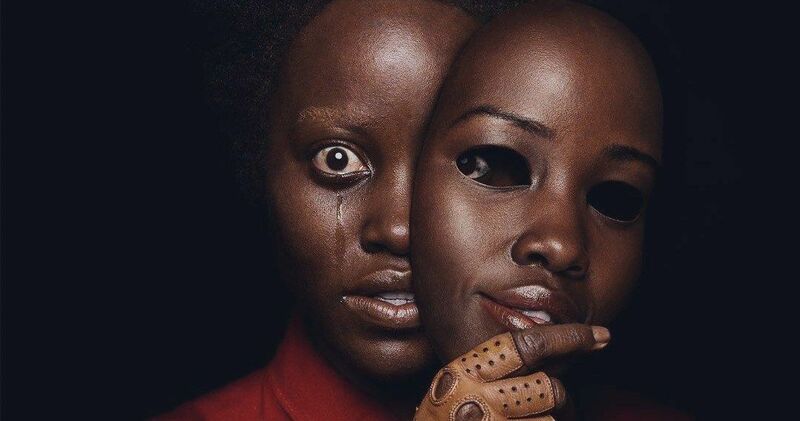 Jordan Peele has released another look at Us and it’s terrifying. There have been two trailers released previously, and each one has turned up the intensity. While the latest look is largely comprised of previously-seen footage, there are a few never-before-seen moments teased, including a scene with Lupita Nyong’o’s evil doppelgänger, that will definitely stick in your brain well after initially watching it play out. So, consider yourself warned. For those looking to go in without spoilers, the latest peek is safe. Us is the first movie that Joran Peele has worked on since releasing the highly acclaimed Get Out and the pressure is mounting. Instead of taking the horror and social satire road again, Peele is going for psychological horror, with more of an emphasis on the terrifying bits. With that being said, there’s going to be a lot more going on with Us than just a normal psychological horror movie. When it comes down to it, the director has revealed that there will be some similarities to Get Out as far as the tone is concerned. When Jordan Peele set out to make Get Out, he expected it to be a full on horror movie. However, as the project went on, it turned into something else with some horror elements thrown in the mix. With Us, Peele seems to be diving head first into the horror genre. Each piece of promotional material revealed for the upcoming movie keeps ramping that element up. In a recent interview, Peele had this to say about making a horror movie. Us features the Tethered, who are brand-new terrifying characters that Jordan Peele brought into the movie. The characters are meant to resemble that “We’re our own worst enemy.” Each actor had to take on playing a second role of their Tethered selves, which proved to be a challenge to find connections between the Tethered and their normal characters. Peele enjoyed watching the process unfold during the production. The movie hits theaters next month, so we’ll soon see how Peele and the cast pulled off this intriguing process. Related: Jordan Peele Breaks Down First Us Footage: Who Are the Tethered? Jordan Peele’s Us hits theaters March 22nd and will premiere on March 8th at the SXSW. With that being said, it might be a good idea for those who want to go into the movie completely spoiler-free to avoid certain social media sites after the 8th of next month. You can watch the new spot for Peele’s next movie below, thanks to the Us Twitter account.